It’s that time of year again – the days get shorter and the temperature heads south, which is probably exactly what you’d like to do. Productivity drops, you’re tired and just can’t seem to get it together. These are some of the symptoms of Seasonal Affective Disorder (SAD), and if you suffer from them, you might be looking at the calender with a sense of dread. 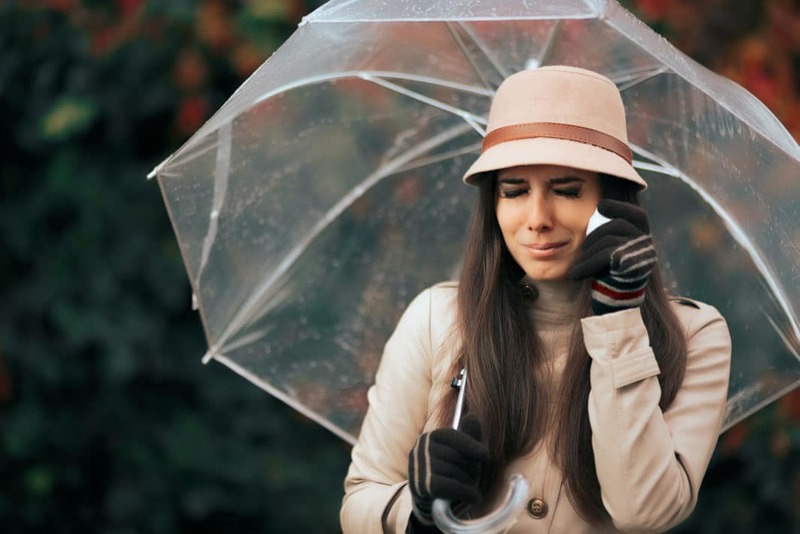 Seasonal Affective Disorder is a form of depression that occurs mainly during the winter months. Some people call it the “winter blues” or “winter doldrums,” but psychologists have identified SAD as a true depresssive condition. According to CNN, up to 20% of the population (over 10 million Americans) suffers in some way from Seasonal Affective Disorder, and 4%-6% have serious affects from the condition. Statistically, it most often affects women in their 20s, 30s and 40s, although plenty of men suffer as well. Doctors aren’t precisely sure what causes SAD, but they believe that the reduced amount of sunlight in the winter months contributes to a drop in our melatonin and serotonin levels, which are hormones that regulate mood. Diminished sunlight can also disrupt our circadian rhythms (our body clock) which can lead to feelings of fatigue and depression. I’ve battled Seasonal Affective Disorder for years. I grew up in sunny Louisiana, but now live in cold, cloudy Michigan. As soon as the bright October days start to wind down my symptoms start. And I’m certainly not alone! The good news is that over the years, I’ve come up with plenty of ways to combat Seasonal Affective Disorder on my own. Now, I manage to get through the winter months with relative ease. I consider fish oil supplements to be the foundation of my SAD treatment every year. I first learned about the effectiveness of fish oil in Dr. Normal Rosenthal’s book, Winter Blues: Everything You Need to Know to Beat Seasonal Affective Disorder. Scientists were studying the Inuit (Eskimo) people who have lived for thousands of years in the cold, harsh climate of the Artic. These people are exposed to winter conditions that most of us can’t even imagine. And yet, they don’t suffer from Seasonal Affective Disorder. They are an incredibly happy people overall. Scientists couldn’t figure out why none of them experienced depression, especially when they have to go months without any sunlight at all. The answer turned out to be their diet (among other things, like genetics and culture). The Inuit, like many other cold-climate cultures, eat a ton of cold-water fish. And these fish are loaded with Omega-3 fatty acids. Taking fish oil supplements, specifically high-quality fish oil that comes from cold-water fish like salmon, mackerel, and herring, is a great way to alleviate SAD symptoms. I start taking fish oil in mid to late October and don’t miss a day until spring sets in. No matter the season, I know when I haven’t had enough sun. My mood just goes down, and that’s because when your body is exposed to sun, it creates vitamin D. When there is a vitamin D deficiency in the body, it leads to fatigue and depression. Try drinking a few glasses of milk fortified with vitamin D milk a day or taking vitamin D supplements, or a multivitamin with that includes D. This is one of the easier and most inexpensive ways to flip that frown upside down when SAD sets in. When it’s 20 degrees out and there’s a stiff wind, I know how hard it is to force yourself outside. But making yourself go get some sun and some easy and free aerobic exercise is one of the best ways to combat SAD. Take a walk, go snowshoeing, go make a snowman, do whatever it takes to get outside at least once a day. Yes, it’s hard. And yes, it takes discipline. But I promise that if you do it on a regular basis, in spite of the bone chilling weather, it’s going to help. The more light you can expose yourself to, the more vitamin D your body will make, and the better you’re going to feel. Certain scents like peppermint and rosemary have been proven to make us feel more awake, alert, and positive. I burn essential oils by my desk during the winter, and I notice a real difference in my outlook when I breathe in those scents, especially peppermint. Other scents like satsuma and lemon are also effective. Last year I painted every room in my house a bright, popping color. After all, I figured, I have to look at neutral colors outside all the time during the winter; I sure don’t want to look at them indoors as well! I couldn’t believe what a big difference this made. My kitchen was a bright, Tuscan orange that looked like a warm, red sunset. My dining room looked like green grass. My bedroom looked like the ocean. Every room made me feel happy because it was alive with color. Try this in your own home. Pick a room you spend a lot of time in, and try a vibrant paint in there. Painting a room is a great affordable DIY home improvement project (just be sure you keep the windows open!) and you might be surprised at how much this picks up your mood. Last winter I took fencing. This year, I’m taking jujitsu. Making yourself take a class can really help keep your mind off the winter gloom, particularly a class that gets you out of the house and into a group of people. Take a class that interests you – pottery, zumba, knitting, figure drawing. Alternatively, use the winter indoor time to lose yourself in a project that you have been wanting to do for sometime but haven’t gotten to. Whatever you decide, just keep yourself busy with something you enjoy. Music is known to affect people emotionally in many different ways. Find some music that you enjoy, something that really brightens your heart and makes you feel joy. Let it flow through your house, car or headphones when you start feeling down. Music can distract you and help keep your mind off things like the winter cold and lack of sunlight. There are several kinds of sun lamps out there, and while they do cost a bit more than a few gallons of vitamin D milk, they are extremely effective for some people. Sun lamps are designed to simulate the look of the sun and trick your body into creating vitamin D and feeling better. I grabbed a couple of sun-colored light bulbs from a hardware store and threw them in some lamps around the house to get a similar affect. If you find that the tips here are not enough to manage your SAD symptoms, it is worth considering investing in a proper light box (most are between $100-$300+), which many doctors and psychologists feel is one of the most effective treatments for SAD. And again, if your symptoms are impacting your sleep or work, and you can’t manage them on your own, see your doctor. Do you suffer at all from SAD? What strategies do you utilize to avoid getting to down during those harsh, winter days?